It has been possible to unravel Freud’s dream because, fortunately, the relevant historical evidence about the traumatic events in his life during the months preceding it, and the reactivation of concerns about these events by the remarks of a visiting friend on the evening before, are available to us. A large hall — numerous guests, whom we were receiving — among them was Irma. I at once took her on one side, as though to answer her letter and to reproach her for not having accepted my solution yet. I said to her: If you still get pains it’s really your own fault! She replied: if only you knew what pains I’ve got in my throat and stomach — it’s choking me — I was alarmed and looked at her. She looked pale and puffy. I thought to myself that after all I must be missing some organic troubles. I took her to the window and looked down her throat, and she showed signs of recalcitrance like women with artificial dentures. I thought to myself that there was really no need for her to do that — she then opened her mouth properly and on the right I found a big white patch: at another place I saw extensive whitish grey scabs upon remarkable curly structures which were evidently modelled on the turbinal bones of the nose — I at once called Dr M and he repeated the examination and confirmed it. Dr M looked quite different from usual, he was very pale, he walked with a limp and his chin was clean shaven … My friend Otto was now standing beside her as well, and my friend Leopold was percussing her through her bodice saying: She has a dull area low down on the left. He also indicated that a portion of the skin on the left shoulder was infiltrated (I noticed this as he did), in spite of her dress … M said "there's no doubt about it, it's an infection, but no matter, dysentery will supervene and the toxin will be eliminated" … We were directly aware, too, of the origin of the infection. Not long before, when she was feeling unwell, my friend Otto had given her an injection of a preparation of propyl propyls, … propionic acid … trimethylamin (and I saw before me the formula for this printed in heavy type) … Injections of that sort ought not to be made so thoughtlessly … and probably the syringe had not been clean. From Freud's discussion of the background to the dream, which on first inspection appears to be about one of his patients, Irma, we know that, on the previous day, he had received a visit from an old friend who was also the family paediatrician, Dr Oskar Rie. 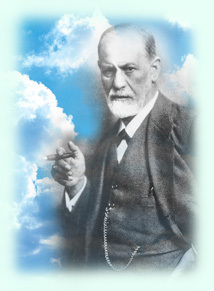 Earlier in his career Rie had been Freud's assistant and collaborated with him on a scientific paper. In the dream of Irma’s injection Freud calls him Otto. That evening Rie had come directly from Irma’s home where he had been staying with her and her family. Freud asked him how Irma was and he replied, "she"s better but not quite well". Freud was annoyed by his reply as he fancied that he detected a reproof in it to the effect that he (Freud) had promised the patient too much. He gave no indication to Rie of his feelings but that night he worked late, writing out her case history to give to Dr M (subsequently identified as Dr Josef Breuer, a senior colleague and a collaborator with Freud on a book about hysteria). Now that we are aware that all the elements in a dream stand for something else, with the exception of when someone’s presence is felt but not perceived, we can conclude that Freud’s explanation for the dream, based as it is on the manifest characters, is wrong. Furthermore, since the publication in 1966 of a paper by Max Schur in which previously unpublished letters from Freud to Wilhelm Fliess were included, we have had available the means to identify with some certainty the true meaning of Freud’s specimen dream. We learn from these letters that, in March 1895, Freud had treated a young, single woman of 27, Emma Eckstein, for hysterical nose bleeds. He had called in his friend Fliess, a nose and throat specialist, to examine her to see if there was a somatic basis to her illness. Fliess had not only operated on Freud himself but was also, at this time, Freud's major confidant and had expressed complete confidence in Freud’s theories. Fliess travelled from Berlin to Vienna to examine Emma and operated on her nose on the 4th March. (Fliess had propounded a bizarre theory that the turbinal bones in the nose and the female sexual organs were intimately connected and that somatic symptoms, allegedly arising from masturbation, could be cured through nasal surgery.) Freud subsequently wrote to Fliess telling him that the swelling and bleeding hadn’t let up and that a foetid odour had set in. He went on to say that he had called in another surgeon, G [Dr Gersuny], who inserted a tube to help the drainage.